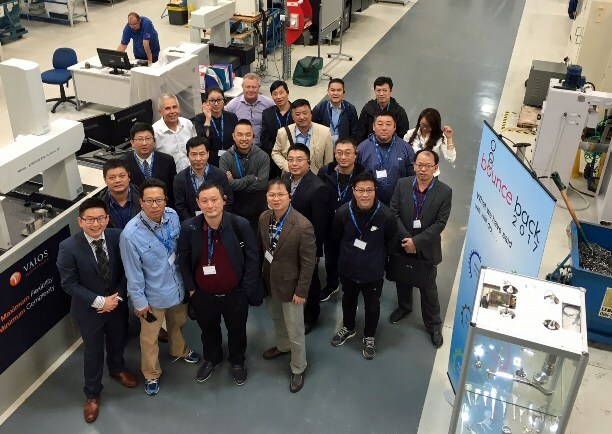 Leading orthopaedic surgeons from China and Brazil have visited multi-award winning Sheffield healthcare company JRI Orthopaedics. Eleven months ago, the company secured regulatory approval to sell its high quality cemented, uncemented and revision hip product portfolio in China and signed an exclusive distribution deal with Bejiing-based AK Medical – China’s largest domestic orthopaedic producer. VAIOS was developed by JRI working with biomechanical engineers at Newcastle University and world renowned orthopaedic surgeon Professor Angus Wallace from Nottingham. Mr Agass added: “These visits reflect the increasing international reach and reputation that JRI Orthopaedics has in two important markets. JRI Orthopaedics manufactures and supplies products that provide the best solutions for joint replacement, repair and reconstruction allowing patients to have a better quality of life for longer. Uniquely, the company is wholly owned by the charity Orthopaedic Research UK (ORUK) and has donated £12m over the last ten years to fund world class research into bone and joint disease.